This is not about special treatment. If your mum told you repeatedly that “life isn’t fair,” you’d better sit down while reading this article because you’ll discover that she was more than right! Think about how much more women spend on clothing, health care, their children and parents than do men, and you can conclude that financial inequality is everywhere. To prove a point, we’ve investigated the notion that running is more expensive for women than men. If you’re a woman, you’re probably saying “What else is new?” If you’re a man, you may just feel lucky! Dare We Start With The Wage Gap? American women may be the loudest when it comes to complaining that, statistically, they continue to earn only about 78-percent of what their male counterparts earn, and the topic has become so heated, a new term has been coined to describe the conundrum: the woman tax. Throughout their lifetime, it costs more to be a woman than a man, according to multiple sources, so in a society where women’s salaries are inferior to men’s it's going to take both social and legal pressure to make things right eventually. 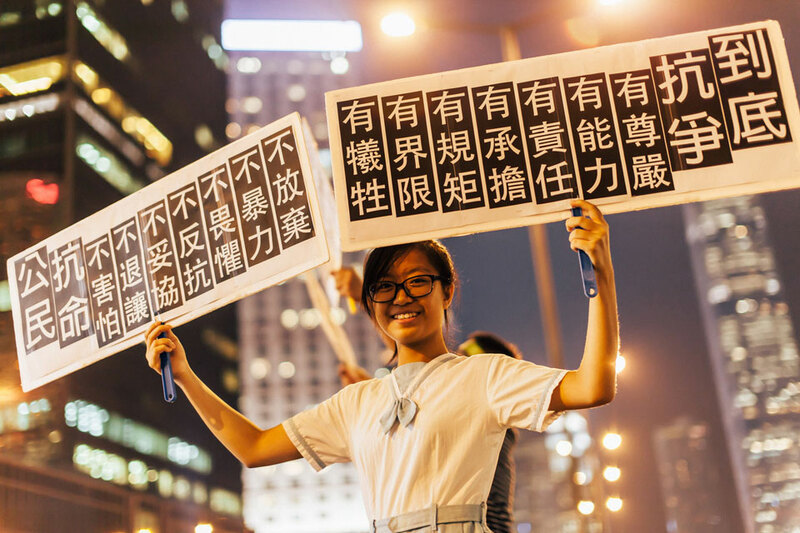 According to the Ministry of Manpower Labour Force’s 2015 report, there is equal distribution of salaries in Singapore for women in the 25 to 29 age range, but once women celebrate their 30th birthday, that changes dramatically. Men’s incomes markedly exceed wages earned by their female counterparts, even if both have exactly the same education and credentials. The Ministry report reports that “the price to pay for being a woman is almost S$500,000 over a 40-year career.” This means every woman in Singapore works from five to ten years longer just to wind up with the same pay as men over the years. How Do Women Runners Spend Their Money? In western societies, the list of goods and services on which women spend more than men offers a few surprises. Women pay more for a home mortgage (0.4-percent more) than men. Speculators believe this happens because women are less likely than men to seek refinancing or negotiate for better terms. A more mundane comparison would be personal grooming expenses and it’s no secret that haircuts for women cost more than for men. Also read: Smart Running Shoes: Will They Change The Way You Run? A great example of product inequality is found in the deodorant and antiperspirant market. Not only do women’s deodorants cost more, but men’s antiperspirant packages are larger, so they get more product for less money. Here’s the irony: With the exception of fragrances, there’s no difference between the formulations of odour-busters for women and men and you can apply the same logic to body washes and bath and grooming products runners use in great numbers since they’re constantly showering and reapplying products. Can you stand more irony? The same amount of fabric is used to produce a pair of women’s running shorts, t-shirts and jogging pants (sometimes less) than comparable menswear, yet prices attached to women’s athletic garb are usually higher, even when items are made using the same patterns, by the same workers and sewn on the same machines. The Truth is Irrefutable: Women Pay More! A New York City Department of Consumer Affairs (NYCDCA) article broke a story comparing nearly 800 gender-specific items, and while male and female versions were virtually identical, gender-specific packaging hyped the retail price of the feminine versions by 7-percent. In fact, the NYCDCA produced a document comparing items active consumers use most often and found that women pay 48-percent more for shampoo than men. You'd think shaving gear would be exempt from this equation, but in fact razor cartridges for men cost US$15 while women paid US$18.50 for blades produced at the same factory. If you’re shaking your head and saying, “Only in America,” the truth is that UK markups for the same products show the same disparity. A study conducted by “The Independent” proved that female shoppers spend £12 on the exact same white Topman t-shirt that sells for £8 in the men’s department. Spend a little time comparing running staples at your favourite Singapore department store and you could walk away shocked and dismayed. What Do Women Buy That Men Don’t? 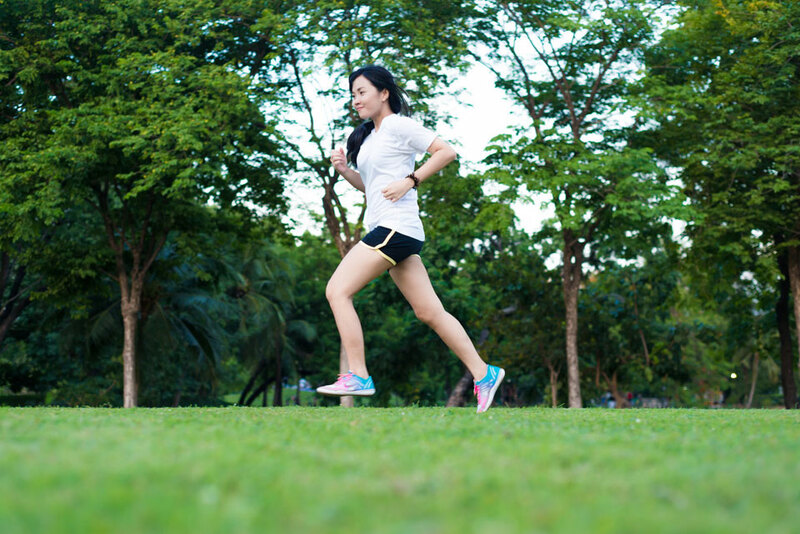 Women runners spend more on iron supplements to compensate for menstrual blood loss. How big is the disparity? Women of childbearing age require 80-percent more iron than men. Women spend big bucks on sports bras. Without proper support, running could be a painful experience. Name brand sports bras have higher markups because engineering is more complex and fabrics may be pricier. Women runners often have more delicate skin and require repeated applications of sunscreen during races to protect against cancer-causing rays. Women traditionally spend more of their salaries to travel abroad to marathons because they already make less than their male counterparts once they’re over the age of 30. Women require more money for health care. While male athletes turn to a single practitioner for their health care needs, women consult gynaecological specialists, have PAP smears and mammograms in addition to seeing a primary physician to handle running injuries. Women must often double up on undergarments and sanitary products if they’re taking part in long runs that don’t allow for stops if she happens to be menstruating. Women must bear the cost of small items like hair accessories to keep long hair out of the face so when wind, rain and sun beat down, they don’t have to waste time getting their locks under control. Women need twice the number of tops men do; if you’ve ever seen how many men arrive at finish lines shirtless, you know what we’re talking about! With the increase of women-only running events, women tend to participate more. Ever heard of men only running events? Nope! Also read: Would You Drink Human Breast Milk to Improve Your Running Performance? Don’t laugh out loud when you consider this question: When was the last time you shopped for your running separates and personal grooming aids in the men’s or boy’s departments? Unless you’re so fashion-conscious you wear haute couture even when getting in your trail conditioning run, you can likely find what you need in men’s or boy’s departments and save enough cash to buy something extra. Black shorts are black shorts. White t-shirts don’t care who wears them. Nobody is going to demand to know your brand of deodorant, shampoo, conditioner or shower soap! Not only can you save cash by shopping in men's departments, but you make a statement that you’re no longer willing to buy gendered products that knowingly cost more just because they’re marketed to women shoppers. Look what happened in the UK when women rose up to protest against “a tampon tax” levied on women’s sanitary products and classified by government as “non-essential luxury items.” Once this issue made headlines, the government had no choice but to donate those tax revenues to women’s charities. Want to Do Something to Change This Disparity? When Business Insider investigated why women’s athletic gear costs more than men’s, they stumbled upon an equally unfair issue: Competition is so fierce, women even pay more to buy competitive togs. For example, Lululemon Athletica basic yoga pants cost US$20 more than the Gap’s Athleta model, yet both use identical fabric, have the same stretching properties and there's no difference in breathability or moisture-wicking properties. What’s different? A pocket. Is that worth $20? Probably not. Also read: Are Your Running Friends Seriously Talking Too Much? Chances are, you’re going to find discrepancies everywhere you look — which brings us to the point: If you don’t look, compare and challenge manufacturers to stop hyping prices for women’s running products that are no different than men’s, nothing will change. Shop men’s and boy’s departments for your basic running needs. If you’re charged higher marathon entry fees than men, don’t stay silent. Complain to store managers (not clerks) if you find gender-specific pricing inequities. 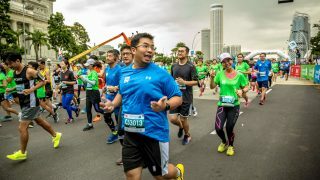 Share your concern with friends and particularly with other runners. Boycott manufacturers that consistently charge more for women’s products than men’s. Go to the media to generate the most amount of buzz on this issue. Appeal to high-profile runners; enlist them to help fight pricing disparities. Use social media to spread the word. According to an online infographic, Singaporeans are one of the most active social media consumer constituencies in the world; 74-percent tweet regularly, Facebook has 3.8 million users and one in every two Singaporeans use social media to help them make buying decisions. That’s power enough to change the world! Are you fired up? Sick of spending more than guys for the same personal care products and clothing to participate in your favourite sport? Let us know what you plan to do to fight pricing discrimination! Priscelia adores beautiful visuals and has a keen eye for detail. As a smart shopper and avid runner, she assists in the creative direction of RunSociety as well as occasionally conjuring thought provoking articles. Never shy to give constructive feedback, she also manages the product reviews section. A Nation Obsessed? 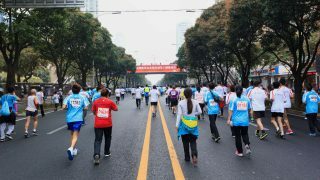 What is Happening to China’s Marathon Scene? Should You Run Every Day? 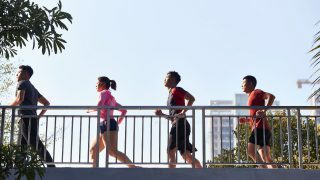 Scientists say that running the same routes and times repeatedly could be potentially harmful.